This three bedroom home is ideal for small families and working professionals at Hedgerows, Bolsover. 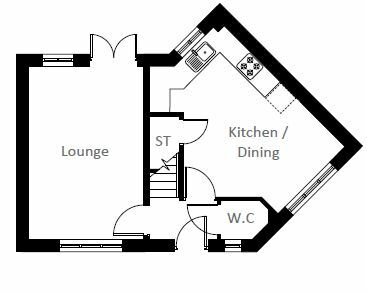 Downstairs you'll find a contemporary kitchen and dining area as well as a large living room featuring French doors opening onto the rear garden. A downstairs w.c. And storage space completes the ground floor. 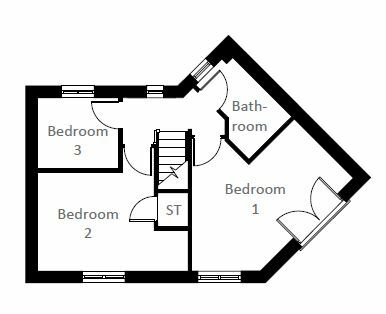 To the first floor are two generously sized bedrooms, a spectacular master bedroom and a family bathroom. Showhome available - come and have A closer look at your new home. In a fantastic setting, nestled on the edge of the small town of Bolsover, with Chesterfield, Sheffield and Nottingham within easy reach, we're creating an exciting new development of modern and stylish homes. Our eagerly awaited Hedgerows development will be home to a fantastic choice of exclusive 2,3,4 and 5 bedroom properties. So, whether you're looking for your first home, or your next one, you'll find the perfect place for you in this idyllic semi-rural Derbyshire location. Plus, buying your dream home could be easier than you think. Help to Buy and Easymove are both available at The Hedgerows. 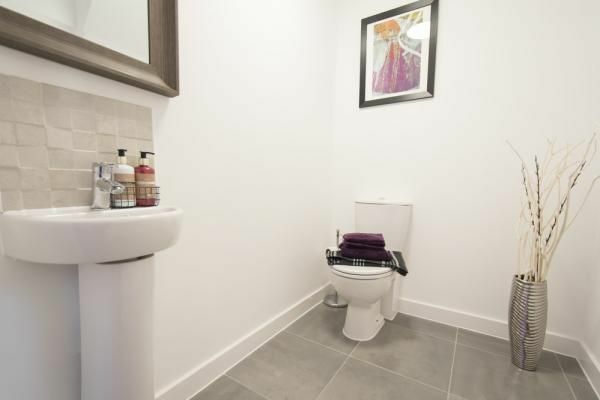 Property descriptions and related information displayed on this page, with the exclusion of Running Costs data, are marketing materials provided by Keepmoat - Hedgerows, and do not constitute property particulars. Please contact Keepmoat - Hedgerows for full details and further information. The Running Costs data displayed on this page are provided by SmartNewHomes to give an indication of potential running costs based on various data sources. SmartNewHomes does not warrant or accept any responsibility for the accuracy or completeness of the property descriptions, related information or Running Costs data provided here.